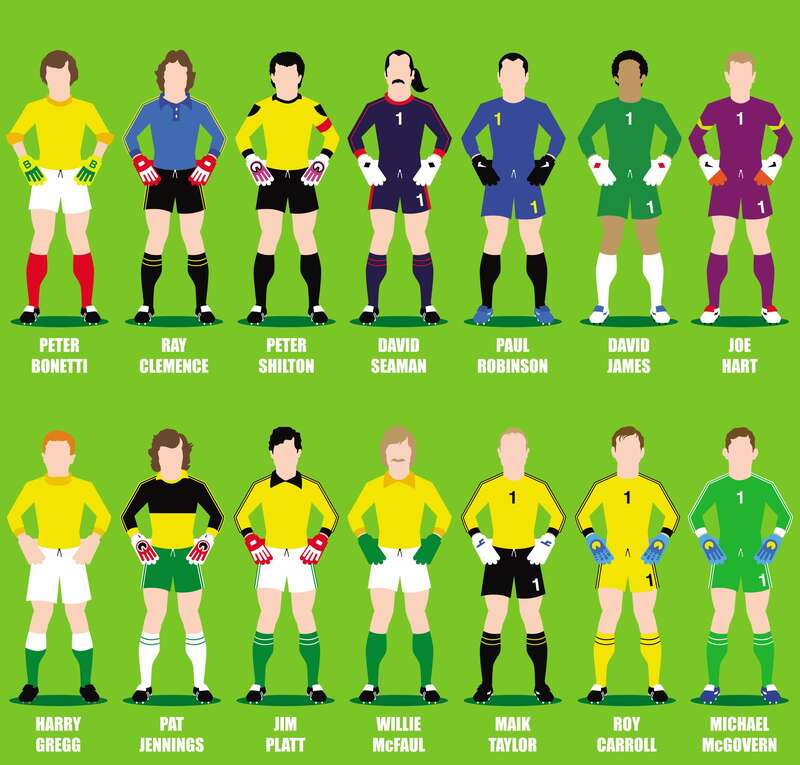 Featured on the endpapers of Glove Story are 80 of the world’s greatest ever keepers, all captured in unmistakable style by artist Doug Nash. 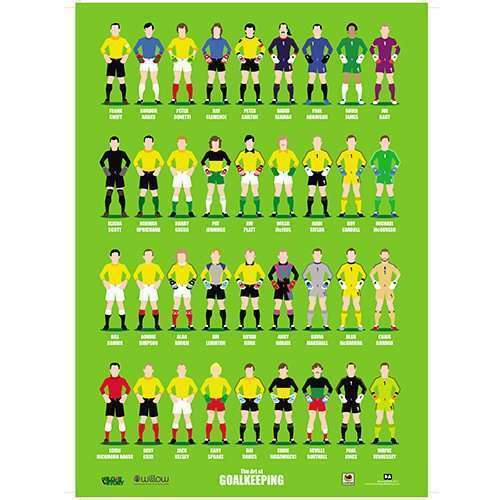 Doug is selling posters of his goalie-friendly creations – complete with correct kit, gloves and boots – at his own Art of Goalkeeping website, shortly to open for business. 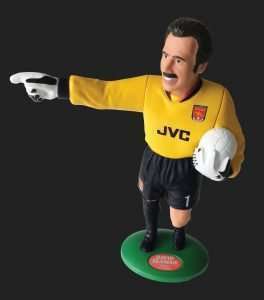 He offers posters featuring the goalies from the book as well as other shot-stopping stars from many individual clubs. The posters are at a special low price of £7.00 each plus £3.50 postage & packing (plus 20p p&p for each additional poster). They will be delivered securely in a cardboard tube, which will be posted separately from any order of books.